During our Tagaytay weekend getaway 2 weeks ago, we scoured the area for restaurants that serve good honest-to-goodness home-cooked meals. 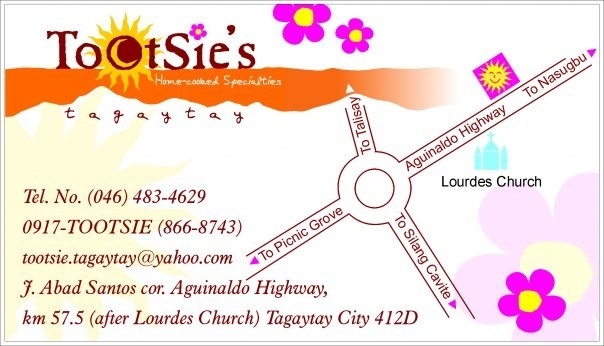 Good thing, my dad-in-law mentioned about a restaurant owned by his niece, Tootsie Marco – Tootsie’s-Tagaytay. We immediately headed to her resto to try it out. Unfortunately, Tita Tootsie wasn’t around during our first visit. 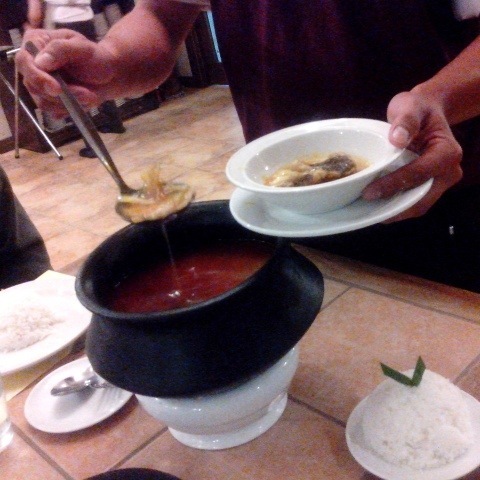 Browsing through their menu, my husband and dad-in-law recognized quite a number of familiar dishes – the nostalgic kind that were served during those years when they, together with Tita Tootsie, were all staying in one huge compound in Shaw Blvd., Mandaluyong. 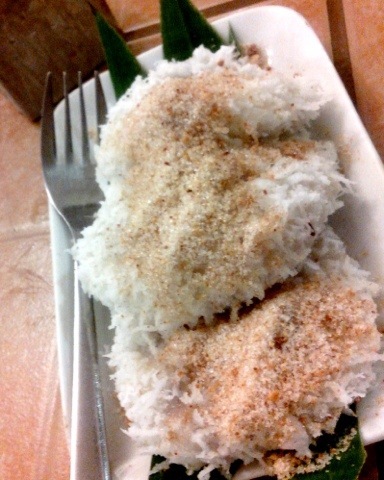 Adobo Flakes – I learned to cook this because my husband loves this dish so much which used to be prepared by my mother-in-law. My version is similar to her’s – soft flakes marinated in vinegar. 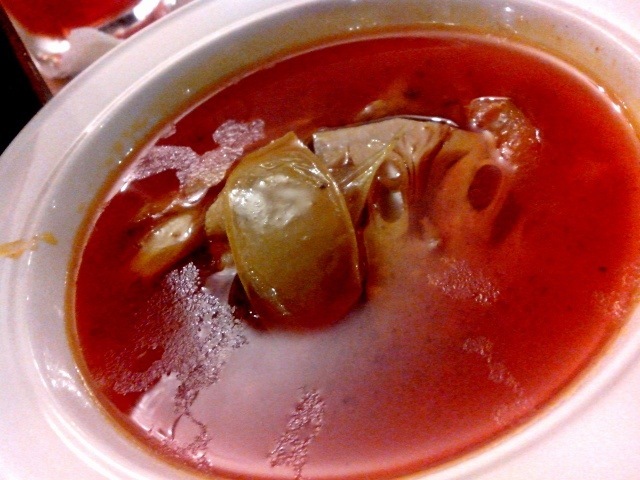 Kansi Bulalo – Ilonggo’s amazing version of Bulalo. Sour and very flavorful. Arguably, Bulalo is the best soup for a cold weather. Trivia: Kansi is not easily available anywhere. Tita Tootsie orders her Kansi fruits from Bacolod in bulk. 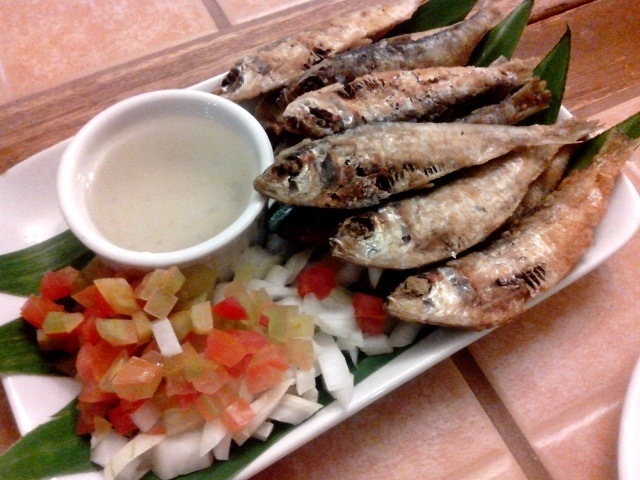 Fried Tawilis – this kind of flavorful and very sought after fish can only be found in Taal Lake, Batangas. Fresh, deep-fried and seasoned with the right amount of salt. 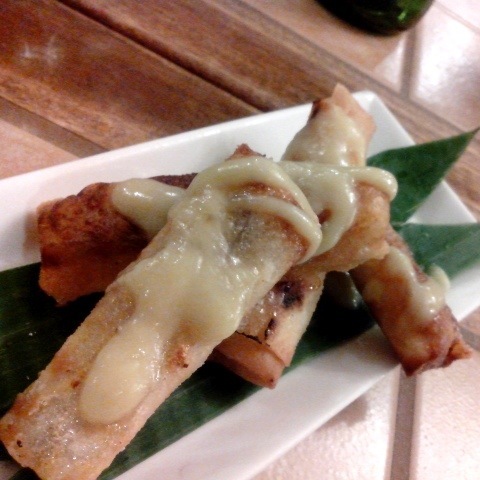 We had a variety of desserts after dinner, such as Halo-Halo Turon. Tootsie’s version was freshly cooked with creamy milk sauce on top that is similar to that of condensed milk. The sweet sauce worked lovely with the turon. Ube Palitaw, on the otherhand, is a twist from your usual Palitaw. When you slice into it, you’ll see the ube right smack in the middle. 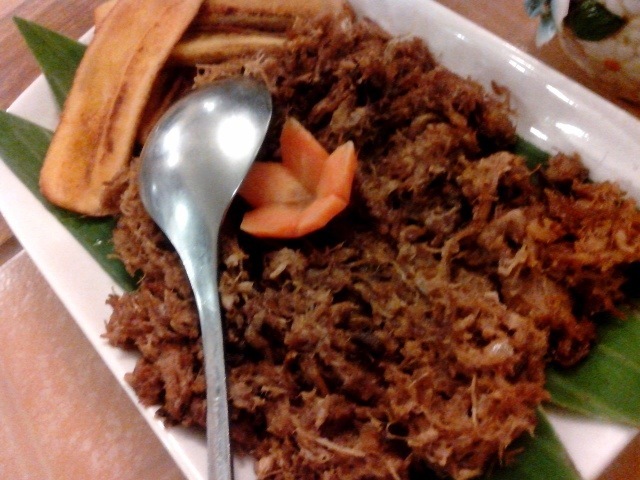 We devoured it right away, leaving no trace of palitaw anywhere in sight! Lol! 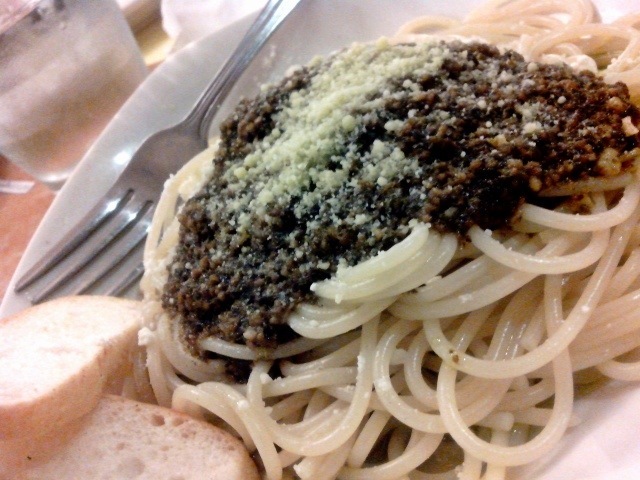 We also tried their Pesto Pasta. During our 2nd night in Tagaytay, it was everyone’s general concensus to dine at Tootsie’s again. This time, we ordered the sweet version of Baked Beans. We weren’t able to take a picture of it because we were so hungry and too excited to eat it. It looked so good that my hands reached for the utensils instead of the camera. LOL! The last time we had this dish was during the Dreyfus reunion years ago! Just to give you an idea of how it tasted, it’s a souped-up, meatier and upgraded version of your typical canned Pork & Beans. This version uses kidney beans and molasses with roasted pork on top. It was a wonderful evening filled with nostalgia, laughter, and of course, wonderful food. 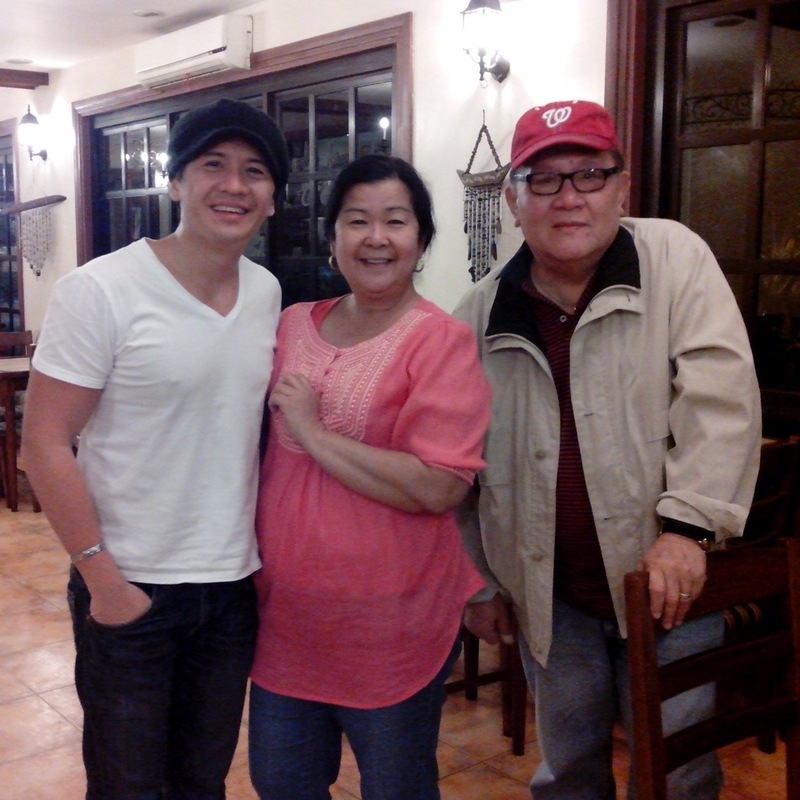 So many fond stories of yesteryear shared by Chuckie, Daddy Henry and Tita Tootsie. It was great hearing about them. 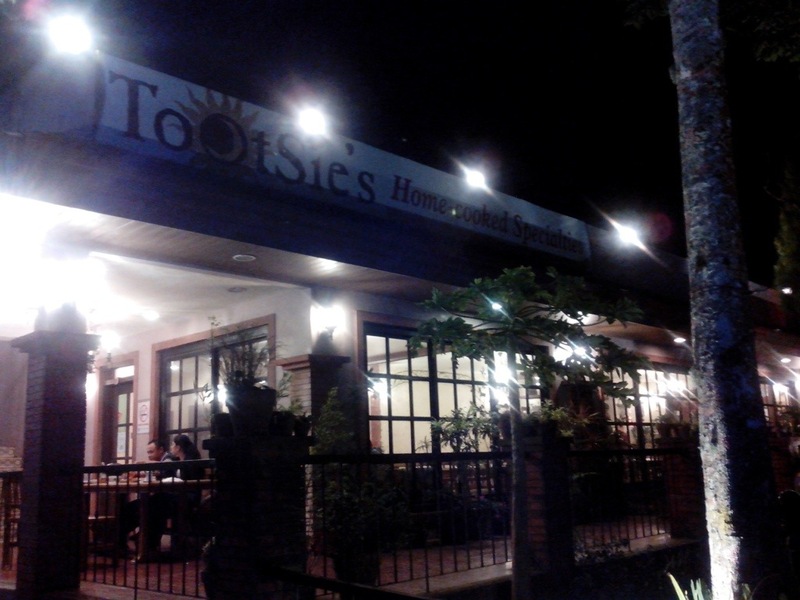 Tootsie’s-Tagaytay serves home-cooked-heirloom-recipes. So much good stuff, really! If you must ask, yes… you should go try out the place. And no, I say this without any kind of bias. The Dreyfuses and little Max!